Okay. Bill Cosby was right. Kids say the DARNDEST things and I learn this every time I work with kids teaching them art. Kids are hilarious and they truly make me happy!! Weekends are extremely busy times over at old Coco Cake HQ, and sometimes I can’t always accommodate requests due to time constraints… over the last year and half, I’ve learned how many orders I can faithfully do in one day that lives up to my design expectations. 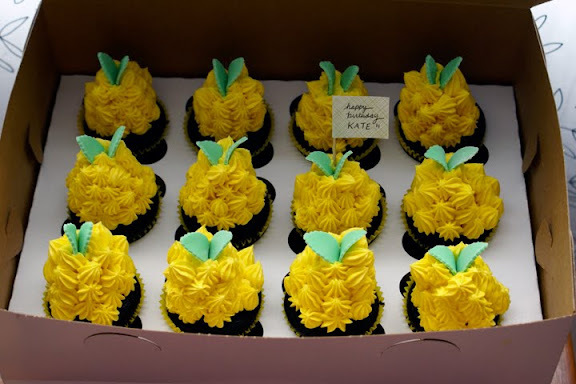 Anyhoo, Annette emailed me with a request for cupcakes for her 4 year old daughter’s birthday party… my weekend was looking extremely hairy but I just couldn’t say no… Her daughter wanted cupcakes that looked like PINEAPPLES, but were actually chocolate. I couldn’t say no. PINEAPPLES!! 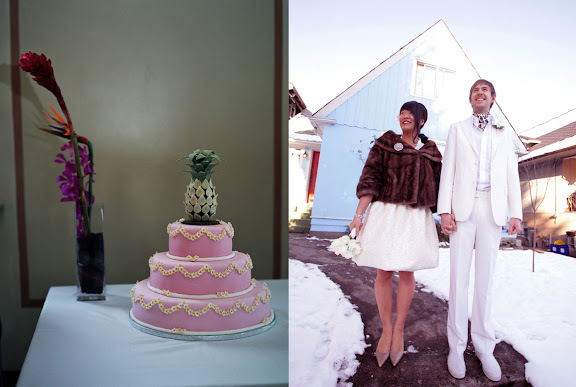 Not only was the request too cute to turn down, but it reminded me of my own wedding day… I requested a PINEAPPLE on the top of my wedding cake! 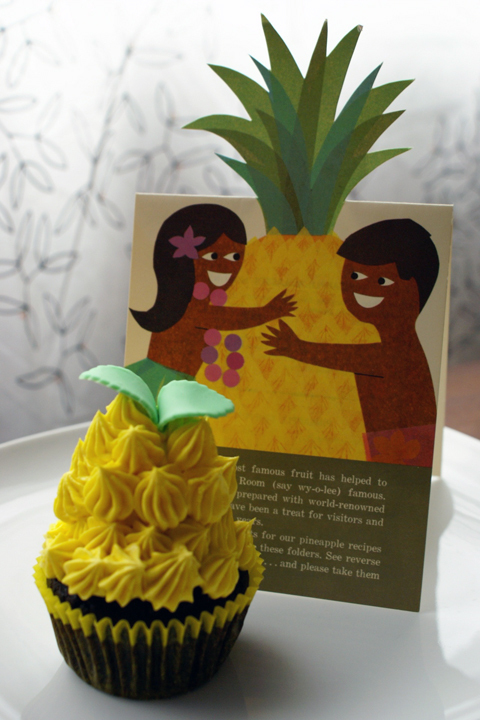 Our wedding was “vintage Hawaiian” themed, and we ordered our wedding cake from Peter Fong of Ganache Patisserie here in Vancouver (before I knew how to bake…)! So I couldn’t resist showing a picture of our cake and of us on our wedding day. Our photography was done by the incredibly talented Camille and Chadwick of Jonetsu! Anyway. I love kids. They make my day over and over. And Kate was such a cutie when I delivered the cupcakes… Annette emailed me a few days later to say how much everyone loved them and they were a big hit. So clever, Coco! Love it! wow those pineapples look amazing! i looove your wedding cake and photo… what a sweet couple you are! Also, that cake and the two of you = awesome! I just found your blog by cruising the internet… great stuff! You definitely rock!!! thanks sis! MAUI! i want to go back so bad..
tarrah, your pineapple upside down cupcakes look awesome! 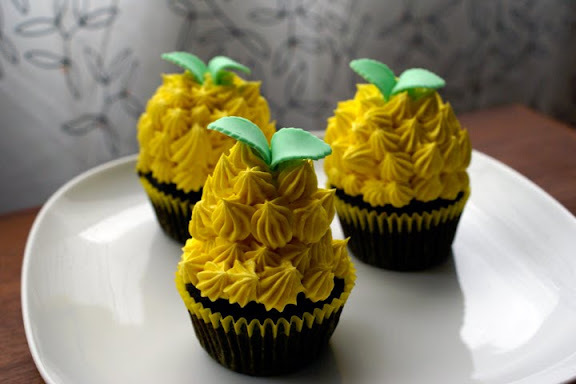 Wow, these cupcakes are wonderful!Color and taste surely good!